The award winning Woodfalls Band is holding a Christmas Concert at the St Francis Church in Salisbury on Saturday 8th December. 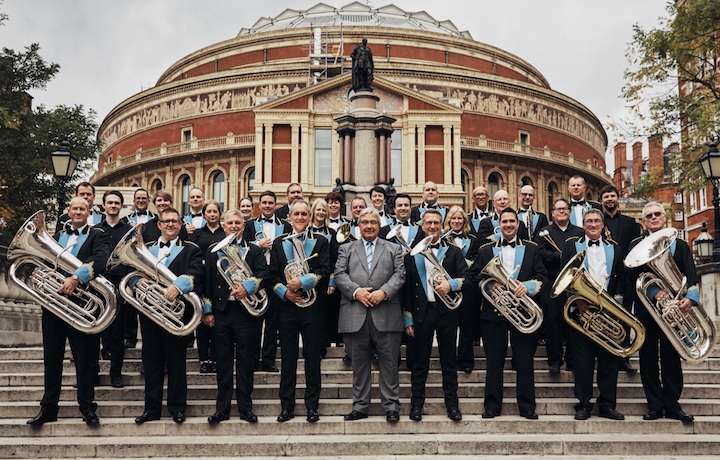 The highly acclaimed local brass band, that represented the West of England at the Brass Band National Finals plan to give a traditional Christmas spectacle featuring a host of festive melodies conducted by the band’s Musical Director, Dr Robert Childs. Woodfalls Chairman Remus Sawyerr stated, “The band is on fine form fresh from appearing at the National Finals at the Royal Albert Hall and our Christmas concert promises to be a cracker, full of traditional carols, festive music plus one or two surprises. Throughout the evening the band will perform old favourites and new seasonal music including a chance to sing along with some well-known carols. We hope there will be something in our programme for everyone to enjoy”. But the occasion also marks the retirement of long-serving musician Mark Pye who is stepping down from the band after more than 50 years of playing. Mark, who heralds from the village, joined Woodfalls Junior band in 1964 making his senior band debut in 1967. In the 80s Mark moved to soprano cornet, the smallest and one of the most demanding instruments in a brass band and he has performed in hundreds of concerts and competitions with the band across the UK and Europe in some of the best concert halls in the world. During his time with the band Mark has notched up an impressive list of achievements including two Grand Shield wins, six West of England victories, two Senior Cup first places and no less than 30 Wessex Champion titles! Mark has also appeared at the prestigious British Open seven times whilst also making 15 National Finals appearances.